Over the past five years, Tom Hooper & Eddie Redmayne have been awards mainstays, bursting onto the scene and demanding our attention. Hooper with The King’s Speech & Les Miserables, Redmayne with My Week with Marilyn & The Theory of Everything, the pair reuniting here with The Danish Girl. They are joined by Alicia Vikander, who could not possibly be having a stronger or more explosive year, with Ex Machina & The Man from U.N.C.L.E. The trio, working together to bring us a current topic set against the backdrop of a classic drama, are all headed toward Oscar nominations or, at the very least, considerations. But this film, taken as a whole, is not the hands-down winner critics & prognosticators had imagined it would be so many months ago and based solely on its previously successful pieces. 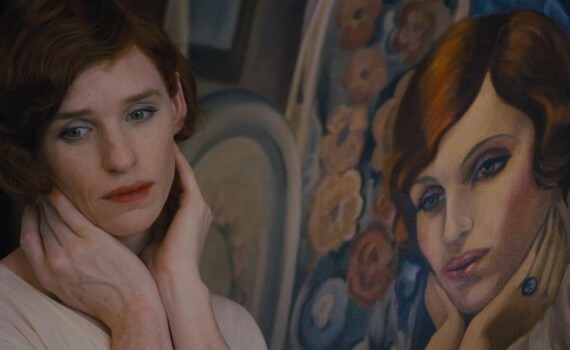 The Danish Girl still succeeds, but not on the level we had hoped. In Copenhagen in 1926, two married artists live an enviable life amid their paintings, their friends, and their love. Einar Wegener is a landscape artist, not the best perhaps, partially because he paints the same wavering images of his childhood home, grasping at a shadow that lives deep inside him. But at least he is inspired, unlike his wife Gerda. She is a portrait painter, talented at capturing the essence of her subjects, but not showing any real magic in her art. That is, until she begins to paint her dear friend Lili, a striking redhead with a long body, emotional face, and hidden thoughts. It just so happens that Lili is Einar, as he has always felt as if he was a woman inside, only now understanding that it could be possible to let Lili out. Now she is the subject of popular paintings, but her marriage to Gerda is falling apart, as confusion over sexuality & identity cloud what was once a romance for the ages. There are so many positives to discuss with this film, even if they are eventually overshadowed by small negatives. The beginning of the story is so captivating, so interesting, and so beautiful, introducing us to the characters, their period, and giving us clues to what is to come. Redmayne is perfection as Einar & Lili, playing two different people in a very real way, and yet showing us how they both exist in one body. It’s a concept that perhaps the country would not have been prepared to discuss a few years ago, but is now a relevant topic that we are all learning to be sensitive to. And Redmayne gives us that, a character who we can try to understand, try to appreciate, and root for to find the life that has been an evasive dream so far. Vikander is equally strong as Gerda, giving us another solid performance in what has been a great two years in her career, showing us compassion & anger in turns, helping us to see the story through her eyes. But while the actors were great (including Amber Heard & Matthias Schoenaerts) and the film started off so vibrantly, the repetition of the theme quickly became tiresome. I was behind Lili’s struggle, behind Gerda’s acceptance, wishing for everything to work out, but could only stay invested for so long. The story wavered back & forth too often, having difficulties, finding solutions, feeling angry, loving each other anyway, making choices, moving on. It was these repeated emotions that began to bore me, and to make me both insensitive & impatient, wishing that the characters would just do something unrealistic & simple like getting over themselves. Not fair, I know, but the film got me on board only to lull me to sleep with a constant rocking back & forth, never finding a balance that kept me focused. One last positive to mention was the use of a little dog in the film, the couple’s pet, and a symbol of their struggle to stay true to each other through all the turmoil. Dogs have long been a sign of fidelity, that’s where the name Fido comes from, and were used in classic art both to show faithfulness and to mock the lack thereof. Look for the dog to pop up in key scenes, something that I found very interesting. But don’t look for The Danish Girl to be the Movie of the Year; it just isn’t quite perfect enough for that.